44% of motorists believe that they ‘own’ the road outside their house! According to a recent poll of 2,000 motorists some 44% of motorists believe they “own” the nearest parking space on the road to their home and 18% have felt distressed when a stranger parked in front of their property. In reality it is possible that it is not actually legal at all to park on the highway – Surrey County Council’s website says that “In common law, drivers have the right to pass and re-pass along the road. 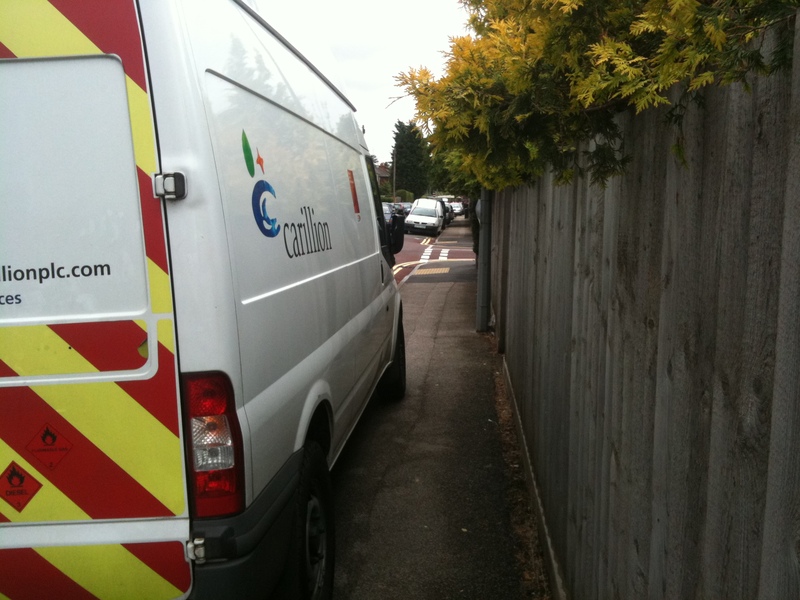 There is no legal right to park on a road, verge or footway“. ‘Parp part’ went Mr Toad. 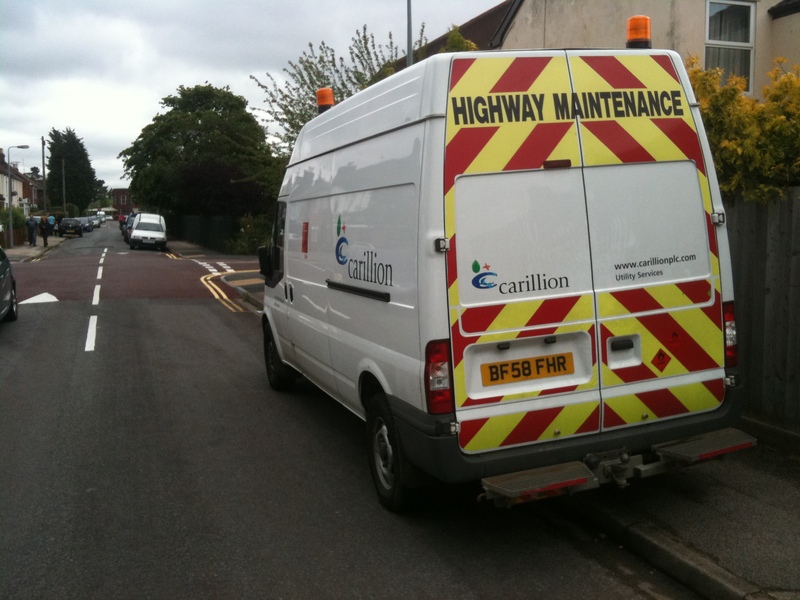 Carillion like roads, they are paid to build them and maintain them and their mission is to ‘make tomorrow a better place’. Unfortunately one of their vehicles is regularly left blocking a pavement overnight, is probably also damaging the paving and is definitely making today a worse place for local residents. I have just placed a report on fixmystreet and have also complained to them using their nice feedback form. Let’s put huge pressure on these companies that are paid to build roads and who then don’t respect pedestrians. Feel free to tell them what you think as well. No chance of getting by. Not much chance of getting by! And of course this is not one-off. 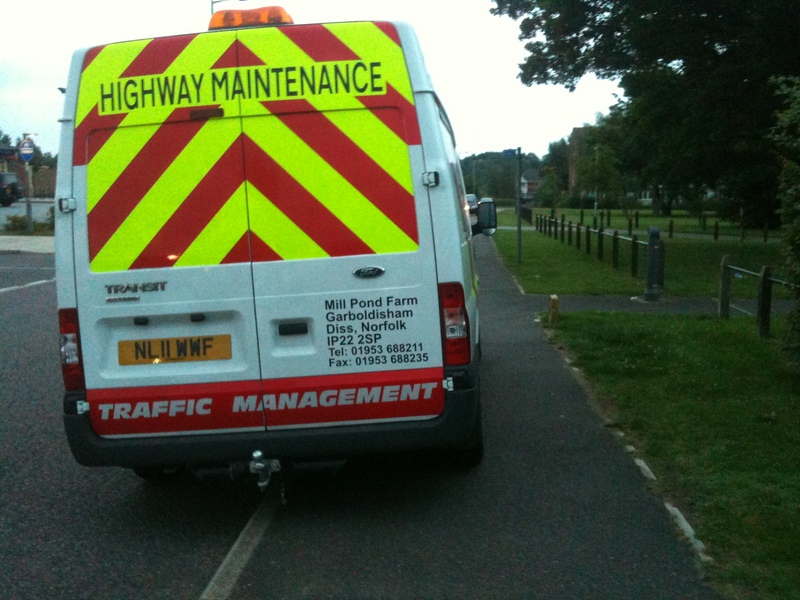 Here is another highway maintenance vehicle being parked overnight on the pavement in the area.